Couldn’t resist posting this, though I think I might have done so before, but it’s worth another view or two or three…. This is a great interview, Daniel obviously has some guitar skills up his sleeve, and seems to fully appreciate his Uncle Rory’s instruments, tools of the trade. The famous Gallagher Stratocaster is given pride of place, and that’s to be expected, but I really enjoyed hearing about the other guitars, how Rory used them and on what songs. The Gretsch Corvette looks pretty wicked, interesting choice to remove the toasters for a P90. I really do like the Super Furry Animals. some of their tunes … most of their tunes have a great melodic and lyrical quality, and musically it’s right up my street. This video features Rhys Ifans, who was once a member of the SFA, maybe he still is in spirit. I’d never heard of James Grant or the 80’s band that he was in ‘Love and Money‘, though I understand they were quite succesful. The first work I heard of his was when he wrote several songs, played guitar, and involved in production on Karen Matheson’s solo album ” The Dreaming Sea”. I was knocked out by his songs, each one telling a story and guitar work so subtle and economical, clearly a very accomplished artist. There’s a completeness to his songs, which becomes enveloping. I’d like to hear more of his work. This is “My Father’s Coat”. It is a long song, a very moody video, typically laid back guitar work which erupts in the last 3 minutes into a stunning guitar outro…. I’m building up to having another session with the Epi Valve Junior, planning to replace the output transformer, which might not be absolutely necessary, but I fancied a change. Was going to buy a Hammond 125CSE but in the end plumped for a Danbury electronics DB1087 from Ampmaker.com. 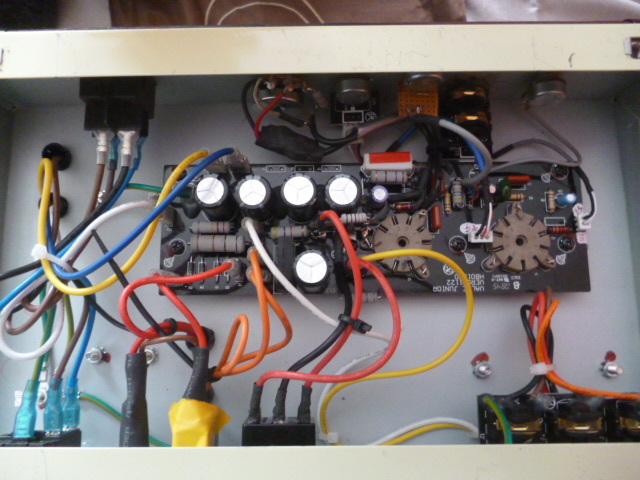 It is not that much different from the stock transformer (epi v3) a little larger and rated for 5-7 watts. It will leave me with the stock tx spare which I might use in another build or possibly for a tube driven spring reverb for my other amp (VHT special6 Ultra). I haven’t decided yet. I fumble around on guitar, have been doing so for donkey’s years. Never really had any lessons, could never afford it, so totally self-taught. Nowadays things are different, the internet and multimedia has given the opportunity to listen to guitar lessons (and probably other instruments too) online. And there’s something there for everyone. One of the guitarists/musicians I watch occsionally is ‘JustNick’. I first started watching his gear reviews on amps, pedals and guitars, then set up a subscription and alert on his youtube channel. Mostly I skip over these things, some reviews are for things that interest me some are not, and the occasional lesson grabs my interest. I downloaded the free album by Hugh Cornwell “Hoover Dam” some years ago, but didn’t really get to play it much, then I heard a bit of his ‘Totem and Taboo’ album, and thought that I must give Hoover Dam a good listen. I’m so glad I did, some infectious tunes by a master tunesmith.